Don’t wait too long before taking a break. Some people need a reason for everything, and thus don’t take a vacation until they desperately need one – when they are physically exhausted, burned-out, or ill. The best time to plan your next vacation is, before you return home from the vacation you are currently enjoying. There is never a perfect time to get away. Just do it! Don’t expect too much. The anticipation of your next holiday is as beneficial as the holiday itself. However, a vacation itself can sometimes be stressful, especially if we’ve set our expectations too high and things don’t measure up. Relax and have fun, even if things don’t go as planned. So what if the room doesn’t turn to be as nice as in the travel brochure. Decide you are going to be happy and be determined not to let anyone or anything change that. Things always have a way of working themselves out. I know people who have every hour of their vacation planned before they leave home. They leave no room for spontaneity, no time for the unexpected. Is it any wonder they return from their vacations as uptight as when they left. Leisure means opportunity for rest, unhurried quietude, relaxation, calm, and reprieve. Now, think of your last vacation. How much time did you spend resting, relaxing, in quietness? How much time did you spend in solitude? Leave plenty of room in your schedule for downtime and just plain doing nothing. We are human beings, NOT human doings. 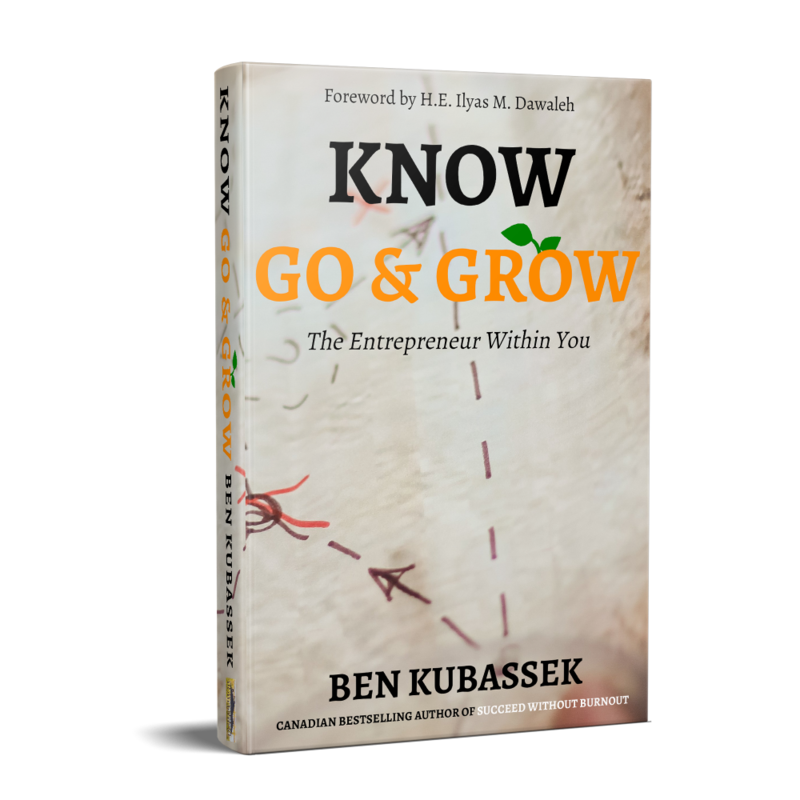 Ben Kubassek is an international expert on social entrepreneurship, author, and speaker. He’s on a mission to help young people in developing countries launch their own businesses in order to create jobs and bring transformation to their communities. Here is your free chapter. Are You Setting the Goal Bar too High? Get Your Free Chapter of my New Book! !